Notes: Featherstone Castle, a Grade I listed building, is a large Gothic style country mansion situated on the bank of the River South Tyne about 3 miles (5 km) southwest of the town of Haltwhistle in Northumberland, England. The property was sold in 1950 and became a boys' preparatory school, known as Hillbrow School, named after the house where it had originally been established near Rugby School in the Midlands. Hillbrow by then was settled at Overslade House, which had been damaged by a landmine in 1940. 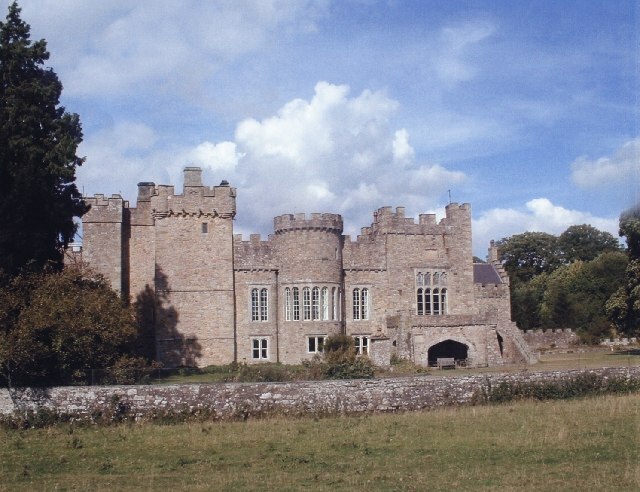 In 1961 the school moved to new premises at Ridley Hall, Northumberland, and Featherstone Castle was converted to a residential conference and activity centre for young people and students.